This was the case for Sergio Bendana when he first learned about Tony Robbins’ Unleash the Power Within. The following year, he decided he wouldn’t miss out again and bought a ticket for the compelling event. He quickly learned what his family did — that UPW had the power to change his life. 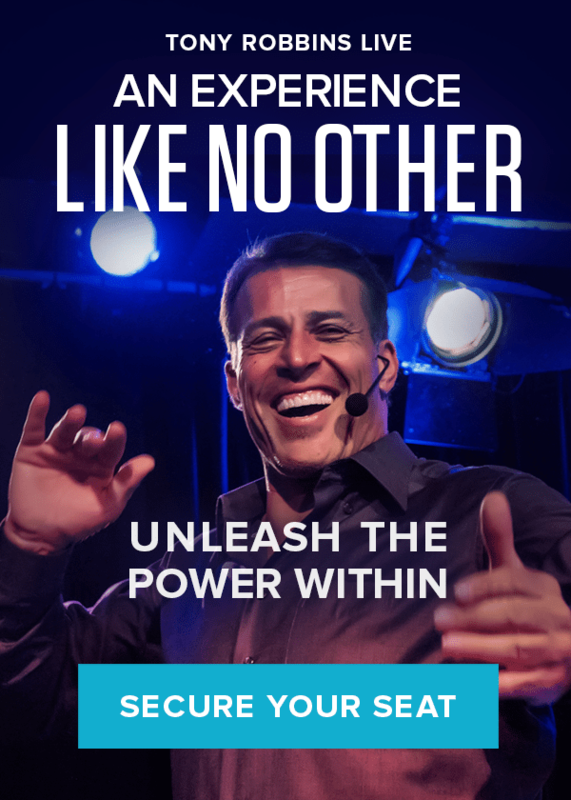 Since then, Sergio has attended three Unleash the Power Within events and four additional Tony Robbins events. He’s even started bringing his long-term girlfriend, Rebecca Morgan, along for the ride. As Rebecca became part of Sergio’s life, she witnessed how much value he and his family gained from Unleash the Power Within. She knew that if someone she cared for could experience massive growth from the seminar, chances are she could, too. Through the work she did at UPW, Rebecca learned that when it comes to someone passing away, “You don’t have to forget them, but you don’t have to live with that identity any more.” She no longer had to be a victim. She no longer had to feel guilty about this terrible event that was completely outside of her control. Ready to let go of limiting beliefs and improve your life? Sign up today for Unleash the Power Within and join thousands of people who have chosen to pursue their passions instead of letting fear lead the way.